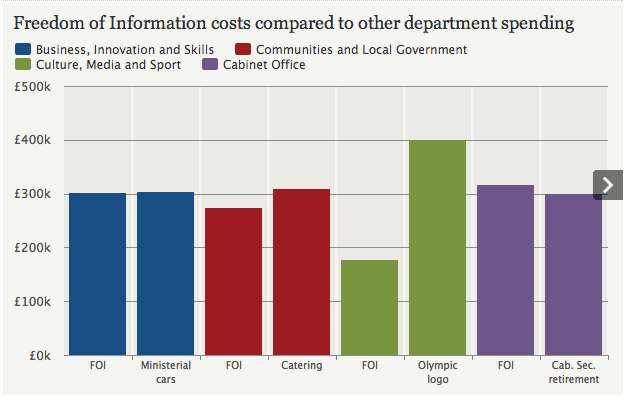 What price freedom (of information)? 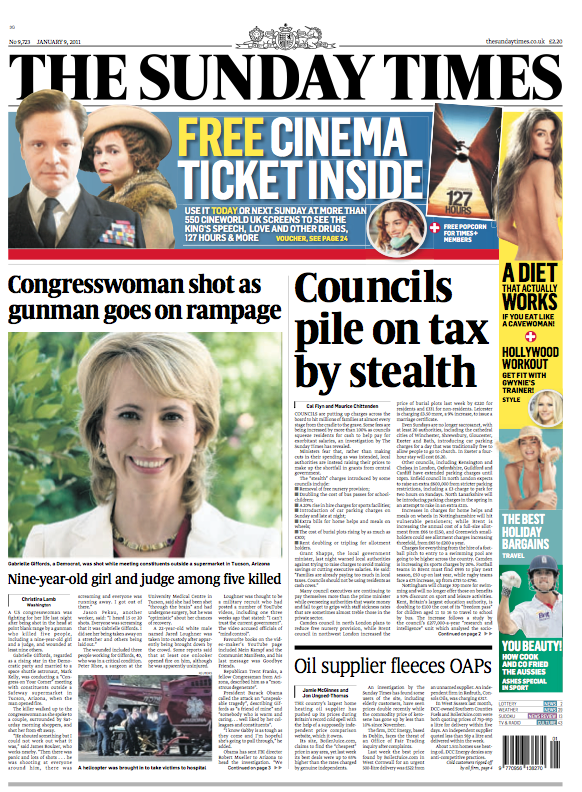 I’ve written an article on the threat to the Freedom of Information Act ahead of the conclusion of a Justice Select Committee’s inquiry. As a reporter, freedom of information laws often offer the best route when investigating matters which are not in the public domain. Many topics, from expenses to disciplinary procedures, are often kept private and details can be difficult to obtain. Even though FOI requests are not infallible, they are a valuable tool for every journalist, and to me it is unthinkable that the rules could be watered down. Stories I have found through FOI requests include John Bercow’s chauffered car habit, the BBC boss who was paid off then rehired, and the council that used terror law to catch a carrot thief. 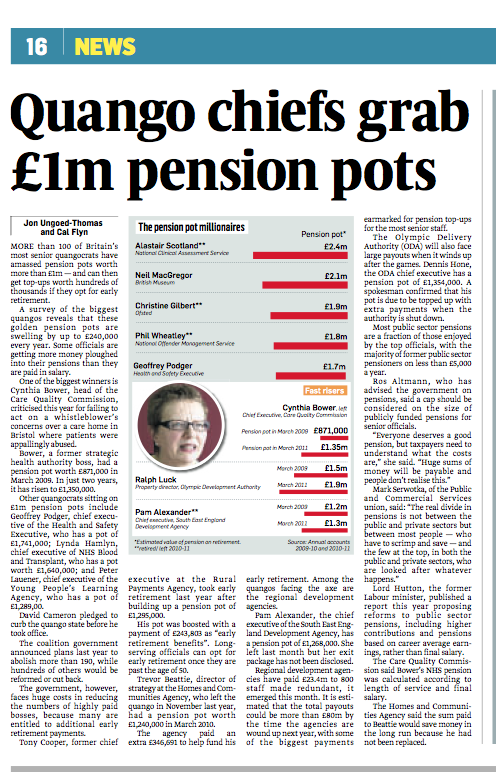 Full text is on the Telegraph website here, or read on. 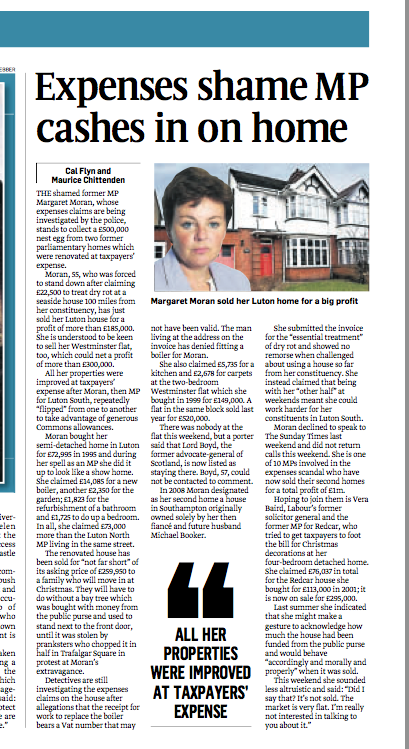 I co-wrote this Sunday Times article about former MP Margaret Moran, who can expect to make a tidy profit on two homes which were renovated with public money. Vera Baird, Labour’s former solicitor general, has also put her newly-renovated house up for sale, but declined to tell us if she would refund the taxpaper its share. Another FOI request fetched the Speaker’s entire transport itinerary for more than a year. 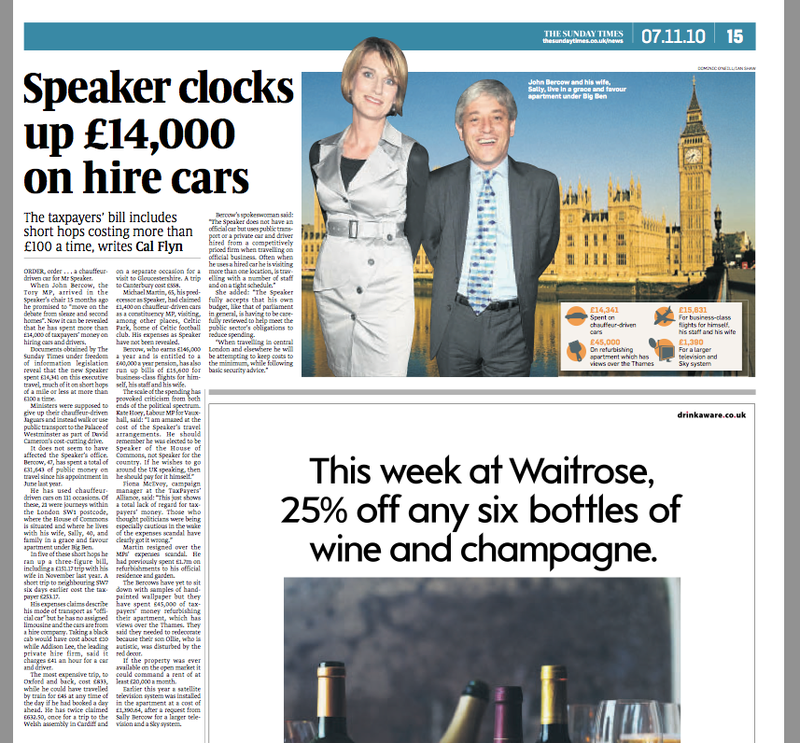 It revealed the Speaker and his wife to have used chauffer-driven cars hundreds of times over the last few months, including journeys within the same postcode that had racked up bills of hundreds of pounds. 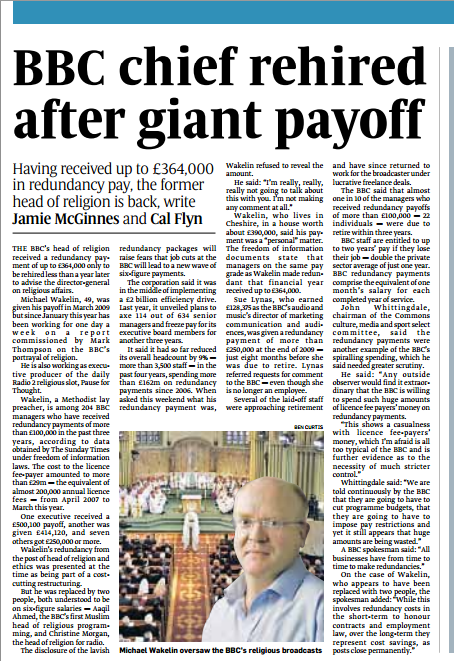 Article on the Sunday Times website here, or full text below.